What are trees? Why are they useful? What do we get by planting them? Do they give us any sort of benefit? Well, plants and trees are the reason that we are alive today. The oxygen that is essential for us to live comes from these living species. They produce it throughout the day for us to breathe fresh oxygen. What do we do in return? We cut them off and never think of planting them back again. No doubt, there are some organizations working to plant trees, but the ratio of cutting to planting is quite high. The rate at which the plants are cut down doesn't even come close to the rate at which they are replanted. Trees not only serve us with oxygen but also provides us shelter from the sun if you are out for a walk. The branches that are spread out in all directions, helps you to stay covered. Not only to humans, but it also provides shelter to the birds and the animal kingdom. Birds often create their nest on the branches of the tree. Moreover, trees provide us with countless fruits and vegetables. The salads we enjoy are the results of those plants and trees. Now I cannot say that we should stop cutting them at all. Because many of the industries require wood, leaves, and stems for making their goods. The paper we write on comes from the wooden stem, even in some eastern areas the leaves of the trees are used as plates. There is a wide use of plants in making medicines too. Further more, if we talk economically, the area which is covered with beautiful trees is 18 to 25% more expensive than the areas without greenery. Do you know that the if the right trees are planted around your building, your air conditioning bills will be lowered to 50%. 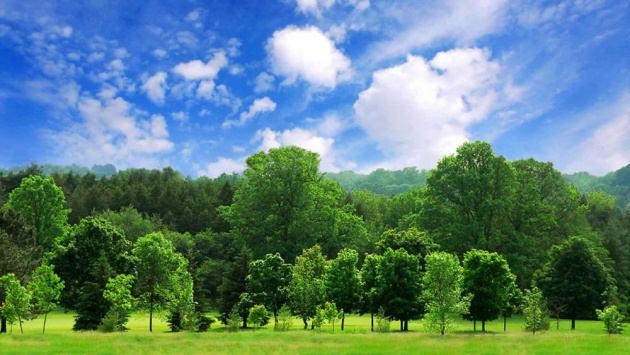 Trees make our environment look beautiful and fresh. Today the rate of deforestation has increased terribly. Forests that are so important not only for us, but also for the animals are being destroyed every now and then, This is the major reason of global warming, Animals are getting short of places. They have to migrate every time their home is demolished. We are creating problems for everyone out there just for our own comfort. There is a lot of place on this planet then why do we have to vanish all the jungles and forests out there that are helping us in one way or the other? We should think about it.